These are groups of related nouns that don't quite fit anywhere else. 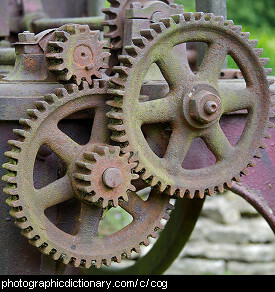 Cogs are the small "teeth" around the edges of gears. Cogs allow the gears to grip onto each other as they turn around.